Two worlds collide in the first four books of an epic series based on the hit Netflix series DreamWorks Trollhunters—from the limitless imagination of acclaimed filmmaker Guillermo del Toro and DreamWorks Animation. With one magical amulet, Jim Lake Jr. transforms from an ordinary teenager into the mighty Trollhunter, protector of a secret civilization of Trolls. 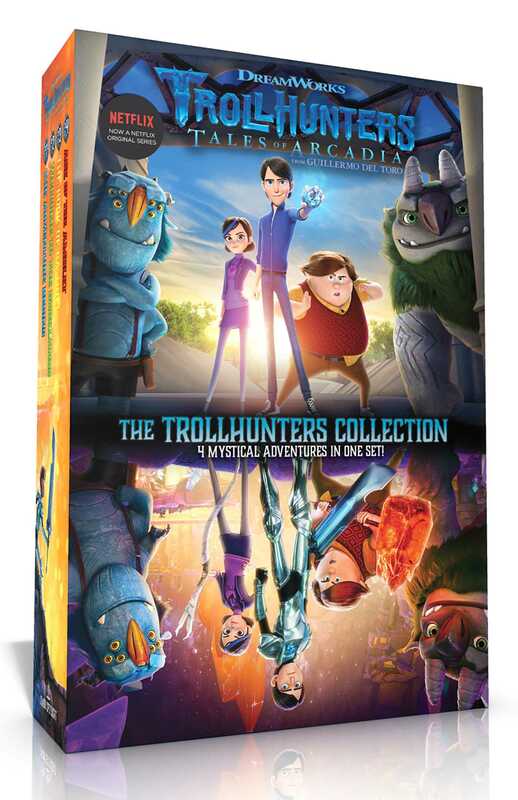 Collect the first four Trollhunters books, which include exclusive original stories and full-color glossy inserts with images from the show!